Whatever the West may think, and no matter what the Lebanese Prime Minister Saad Hariri may say publicly, the Lebanese army, in clear coordination with Hezbollah (which is outlawed in many Western countries) as well as with the Syrian army, is now pounding the positions of deadly ISIS/Daesh, right at the border region. The army began the operation on August 19, 2017, at 5 in the morning, by firing at the terrorists’ positions in Jaroud, Raas Ba’albak and al-Qaa’ using rockets and heavy artillery. It all has an emotional twist: the army commanders declared that the operation was launched in honor of the country’s kidnapped military men and martyrs. Apparently, Lebanon has finally decided: that, enough is enough! First Al-Nusra Front and now ISIS have to go. Ignore the fact the Lebanese government went out of its way to say that the Lebanese army is actually not coordinating with Syrian forces, or with Hezbollah. After all, Mr. Hariri just recently returned from Washington, where he met the US President who is treating Syrian President Assad as his personal enemy, and Hezbollah as a terrorist organization. Personally, Mr. Hariri likes the West, and he is very close to its loyal ally, Saudi Arabia, where he was born. But Mr. Haririwas never elected. Lebanon is using a complex and obscure “confession system”, ‘distributing political and institutional power proportionally among confessional communities’. President has to be a Maronite Christian; Speaker of the Parliament is Shi’a Muslim and Prime Minister has to be a Sunni Muslim. Therefore, one thing is what Mr. Hariri says, and other what most of the people of Lebanon think or do. Meanwhile, the Lebanese resistance, politicaland social movement Hezbollah has also declared a joint anti-Daesh (ISIS) offensive with the Syrian army, at the other side of the border. The gloves are suddenly off. Unlike one month earlier, when Al-Nusra Front was almost totally wiped out by the same coalition but in the end its fighters were spared and offered a transfer to a ‘safe zone’ inside Syria (Idlib), this time there is not going to be any preliminary negotiation with the most venomous of all terrorist groups in the region. The message is clear: either the unconditional or at least irreversible surrender of all ISIS terrorists, or their total destruction. By the evening of August 20, the Lebanese army was already holding around 80 square kilometers (roughly 30%) of the area that was previously controlled by Daesh (ISIS). Before I departed from the Lebanese capital for Cairo, Egypt, I drank a few cups of coffee with my good friend, an intellectual from Syria. We were sitting in the middle of Beirut’s Christian neighborhood, Achrafieh. “Let’s take a ‘selfie’ together,” he said. I was surprised; before he was known to despise social media. I knew what he was talking about, and I have written about the situation many times before. Lebanon, in some of the non-Muslim neighborhoods of Beirut, has been literally saturated with so-called “dormant cells”, of various terrorist organizations, particularly ISIS. At any moment they can get ‘activated’, destroying hundreds of lives in this beautiful but long-suffering city. Beirut is nervous, edgy. Great victories in the mountains liberated tormented local people, and Lebanon is finally regaining its territories. But the terrorists will not disappear from the country overnight. They may be losing big territorial battles, but they are still capable of inflicting terrible casualties on the civilians and even the military. But so far, everything is moving rapidly, in Lebanon and across the border. The once astonishing number of almost 2 million refugees on its territory has gradually been reduced to 1.5 million, and then adjusted further down to 1.2 million. Soon it may drop well under one million. Syrians are going back, confident that peace is returning to their scarred land. The Syrian forces, as well as Russians, Iranians and Hezbollah, are clearly determined to stop the insurgency of several terrorist groups on the Syrian territory, while China is now also playing an increasingly important and positive role. Most of the terrorist armies are directly or indirectly supported by the West or by its close allies in the Gulf. Turkey is also playing dangerous and deadly games in the region. Almost no one is talking about the final collapse of the Middle East, anymore. Entire nations have been damaged; some went up in flames. Implanted militant Islam served well both the West and much of the Gulf. But Syria survived; it fought bravely and determinedly, supported by its allies and at an enormous cost, it has managed to stop the imperialists and their brutal extremist local offshoots. While no one is celebrating, yet, the mood in Syria, Lebanon and in several other part of the region is suddenly upbeat. The West is now fully discredited, while Russia has gained great respect. 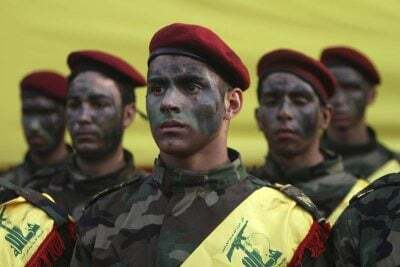 As Lebanese and Syrian armies are, with Hezbollah support, conducting offensive against the ISIS, Russian jets, it is reported, killed some 200 terrorists heading for a region of Deirez-Zur in Syria. In the same period of time, US-led strikes killed at least 17 civilians in Raqqah. “Today the West is facing an existential conflict….living in a state of hysteria whenever there is a state that wants to take part with it in the international decision-making in any field and in any place in the world”. By August 27 2017, it was clear that Daesh (ISIS) fighters were cornered, if not completely defeated. The Lebanese Army agreed to a cease-fire in its offensive, after terrorists decided to lay down arms. Negotiations began. It appears that the ISIS may soon pull out of Lebanese territory to Syria, to a designated zone. Victory came at a heavy price: the Lebanese Army helicopters were flying helicopters with body bags containing remains of the soldiers, over the capital – Beirut. Tiny Lebanon is tied to Syria with an umbilical cord. It is a rocky, often extremely complex relationship, but during the historic moments like this it is clear that both countries can and choose to act in unison. The Prime Minister of Lebanon may like to flirt with Donald Trump in Washington and with Saudi Arabia, but the armies of both countries are clearly together, fighting the same enemy. And so is Hezbollah. To both the Syrian and Lebanese people, it is clear who the real enemies of the region are. And they are definitely not Hezbollah or President Assad.